There are 3 sections of the game. 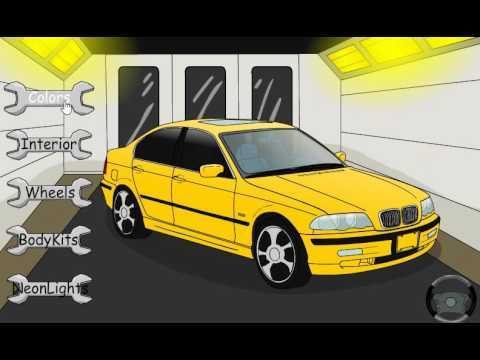 On the first section of the game your car is at the auto shop, with the tools on the screen you can repair your car. Make sure to double tap. On the second section you can change colors, tires, add body kit and neon lights. Finally on the last section you can take your car for a test drive!